How about some hugs from Eeyore? Don't let Eeyore's mopey disposition fool you - even he loves a good hug! In this dreamy word figurine, pop artist Romero Britto presents the pessimistic donkey with a shy smile, and the rarity of that expression makes it all the more endearing. 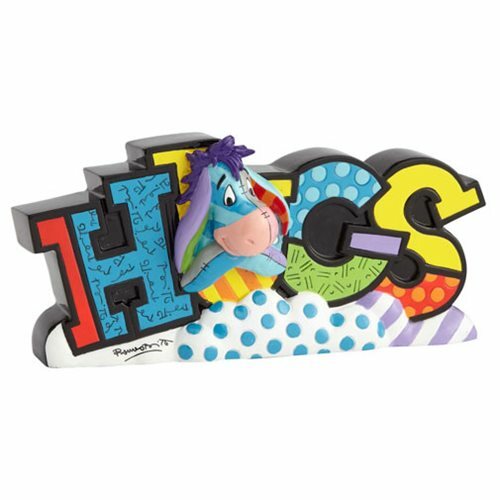 This stone resin Disney Eeyore Hugs Statue by Romero Britto measures approximately 6 1/4-inches wide x 3-inches tall x 1 7/8-inches long. Take him home and you can hug him to your heart's content!